Join Jonathan DeWald, Esquire from McNerney, Page, Vanderlin & Hall as he discusses planning for your future and charitable giving. 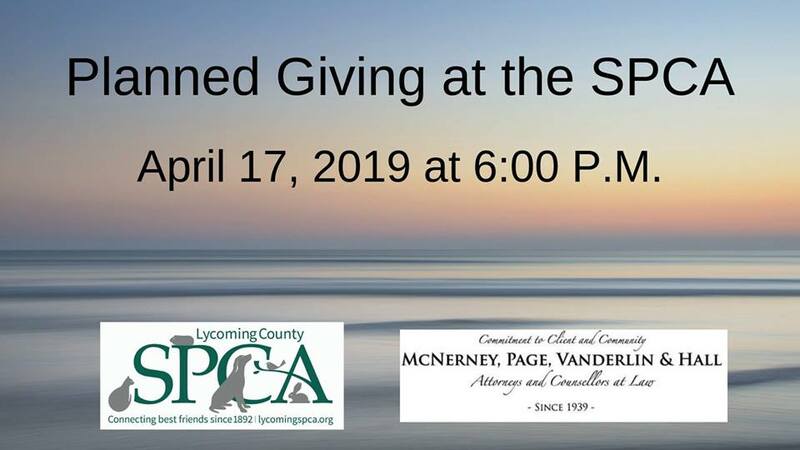 Information will also be provided on how to leave a legacy for the Lycoming County SPCA animals. RSVP at our Facebook event or contact the shelter (570-322-4646).